10 packs + 2 bonus packs + 1 oversized card & 1 rookie commence card per tin. Complete your Upper Deck set for ’18-19! Collect Young Guns Rookie Cards - averaging 1 in 4 packs. Get a piece of the freshman class with Rookie Materials! Hitting 1 in 58 packs, they are sure to light the lamp! Pull Day With the Cup cards! Check out last year’s Cup winners as they travel the globe with The Cup! Including Silver Border, Gold Border & Retro parallels! TIN EXCLUSIVE: Get 1 BONUS oversized (3½ x 5) Base card from UD1! 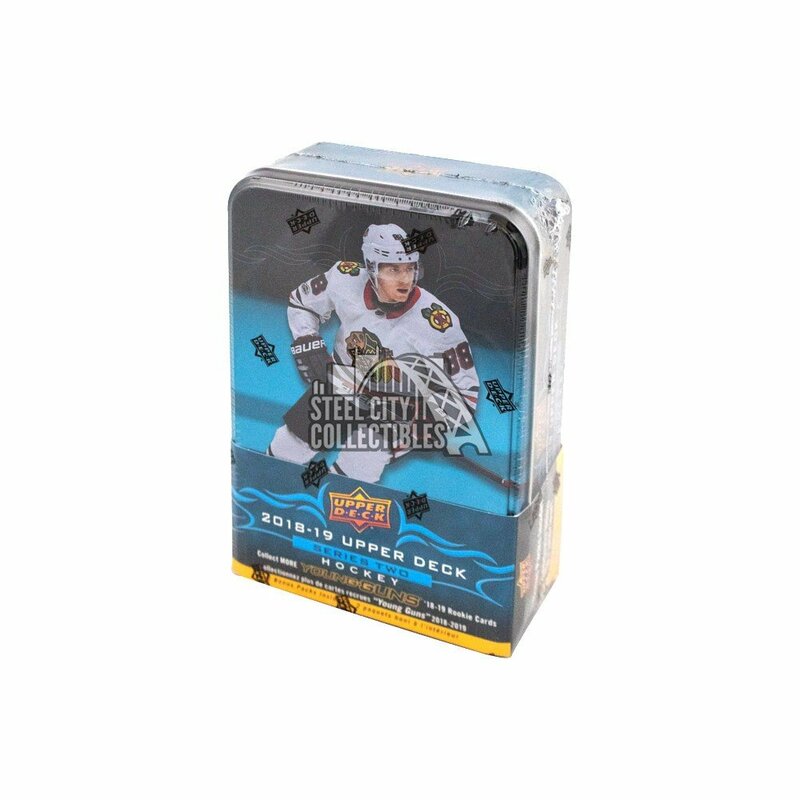 NEW TIN EXCLUSIVE: Complete the new Rookie Commence insert set falling 1 per Tin first appearing in 2018-19 Upper Deck Series One. Oversized Regular card – 1 per Tin!